How do you make Big Data less intimidating, more actionable and thus more valuable, in particular for marketing and communications professionals? 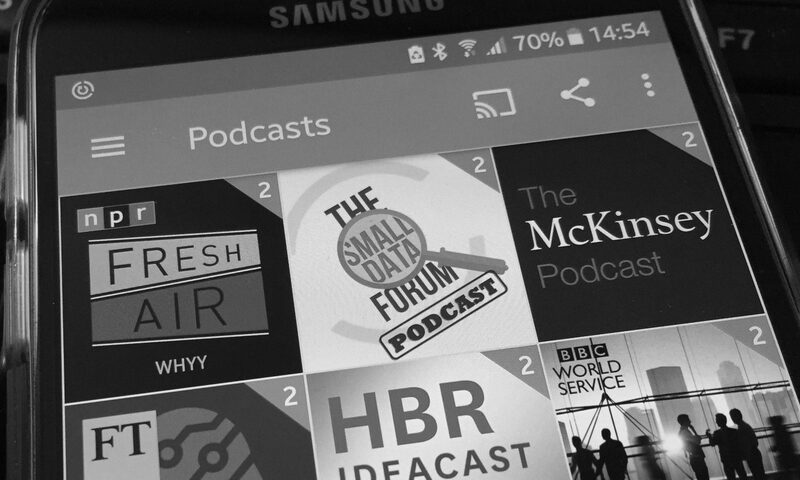 That is the question at the heart of the Small Data Forum podcast, an initiative by LexisNexis Business Insight Solutions to listen, learn, share and educate ourselves and others who grapple with the challenges of the information avalanche. Industry thought-leaders Neville Hobson, Sam Knowles and host Thomas Stoeckle discuss current industry themes and news topics in the wider context of data and society. Until November 2017, Thomas lead strategic business development at LexisNexis Business Insight Solutions (BIS). Prior to joining LexisNexis, he was group director and global analytics lead at W2O Group, and managing director at Report International (now CARMA). A marketing communications researcher and business leader with 25 years+ experience, he believes passionately in story-telling through robust data evidence and compelling visualization. Originally from Germany, Thomas has been living and working in London for more than 16 years, working with clients all over the globe. In a fast-changing world, he enjoys nothing more than working with partners and clients finding and building better solutions for their communications challenges. Forever a digital Neanderthal among digital natives, he is keenly aware that today’s challenges demand fluency in the three languages of business, technology, and of course humans. Thomas is also co-chair of the Institute for Public Relations Measurement Commission. Neville Hobson is Director, Digital Marketing at The Internet Society, a global non-profit organisation working for an open, globally-connected, trustworthy, and secure Internet for everyone. In his role, Neville is responsible for the definition, development and implementation of the Internet Society’s digital communications strategy. For nearly 30 years, Neville has been a voice of experience and influence about digital technologies and human behaviours, disruptive change in workplaces and marketplaces, and relevant trends to pay close attention to. Neville is a pioneering podcaster, co-presenting the communication industry’s first and most enduring podcast, For Immediate Release: The Hobson and Holtz Report, every week from 2005-2015. In early 2017, he and Shel Holtz started a monthly edition. Sam Knowles is Founder & MD of Insight Agents, a corporate and brand storytelling business. He has almost 30 years’ experience helping organisations communicate better, clearer, simpler. Data and statistics are the foundation of the stories Sam helps companies to build; evidence-based, data-driven, insight-rich narrative. But only the foundation, before the tools and techniques of story take over. With a PhD in experimental psychology, Sam has just written an intensely-practical guide to his craft called Narrative By Numbers: How To Tell Powerful and Purposeful Stories With Data. It will be published by Routledge in February 2018.